Osaka is a major city in Japan which, over the years has been known mostly as a merchant city while today it’s an excellent shopping destination that has a diverse range of other attractions too. Shopping is definitely something that Osaka has embraced, and one of the most popular retail spots is Den Den Town which is a hub for fans of electronics and manga/anime. If your taste in shopping is more mainstream then you may want to head to the Umeda district of the city which is home to Hankyu Sanbangai shopping mall and a wide range of stores to suit every taste. Another major shopping venue in the city is Yodobashi Camera where you can find a huge selection of electrical goods on sale. As well as being a shopper’s paradise you should visit Osaka for the culinary experience. 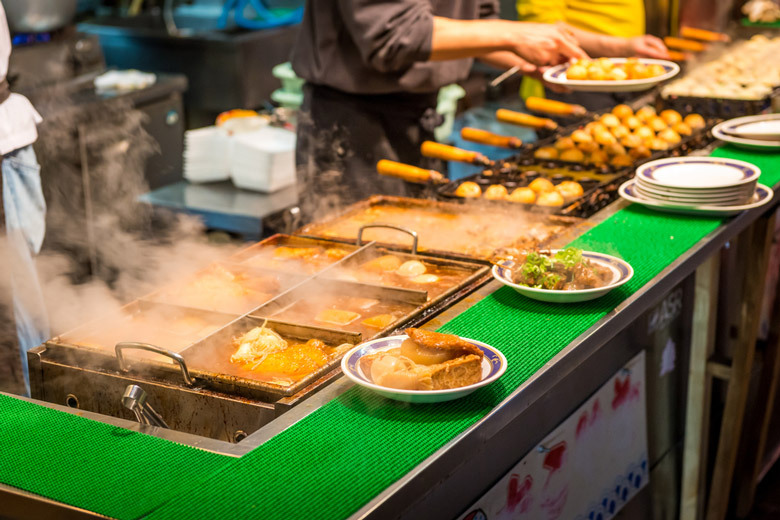 The city is known, both in Japan and internationally for its cuisine and some food critics have even gone so far as to name Osaka the food capital of the world. If you want to be a little adventurous with your food choices you should give takoyaki, fried octopus, a try. Other local specialties include udon which is a noodle dish, and battera which is a mackerel sushi. You taste buds are certainly in for a treat no matter what you choose to eat in Osaka. And when you’re dining out be sure to try the locals drinks too, especially sake. Osaka’s version is one of the best varieties of the drink anywhere and benefits from being made using water from the mountains in the area. Osaka may not have a reputation for being an especially beautiful city but its highlights are outstanding. It’s certainly a city of culture and its architecture is not all concrete and pachinko halls. That being said, there’s actually something quite quirky about some of the modern box like building designs. There’s also an energy that you’ll feel if you visit Osaka, and an openness about the people who live there. When you visit Osaka you’ll find that the people are very down to earth; it’s a very straightforward city that doesn’t set out to be cool and trendy in the same way that Tokyo does. This makes for a more laid back atmosphere that you can enjoy at your own pace. 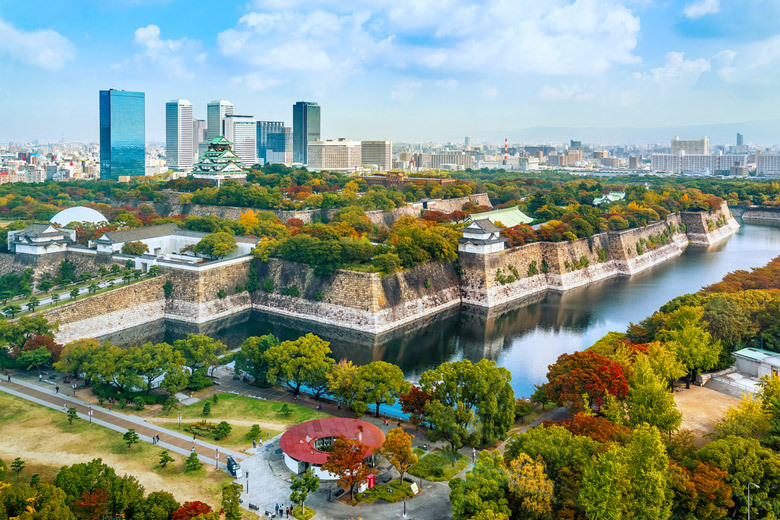 Osaka also has an impressive diversity of things to see and do, from visiting Osaka Castle to strolling through the unashamedly gaudy Shin-Sekai neighborhood. Visit Osaka and you’ll find a city of contrasts; the modern and unusual alongside the traditional and historic. You’ll certainly have plenty to pack into each day of your visit. The great thing about this city is that just when you think your day has been pretty full with daytime sightseeing, the night falls and you can go out eating, drinking and spending time with the local people. An interesting city with its own character, Osaka has plenty to do once you scratch the surface. Stroll down Hozenji Yokocho alley and take a break at one of the many eateries to be found there, and enjoy the impressive cherry blossom display at the Japan Mint during the spring. At any time of year, Osaka is an open and friendly place with no pretentions; relax and enjoy the shopping, the sights and the great food that’s on offer. Here are our top ten recommendations for things to do in Osaka.